Receivers appointed by Goldman Sachs are attempting to take control of Aberdeen Lodge, a bed and breakfast which acts as both a business and family home. The owners, Patrick Halpin and Ann Keane, have been in a long-running legal battle with the major global financial institution after falling behind on bank repayments. The couple have two young children who they say are being affected by the ongoing efforts to remove the family from their home. Patrick Halpin, who said he has ongoing heart issues, told agents acting on behalf of the receiver that the family have no other options. “We have nowhere to go, just to confirm we are paying our mortgage every month. I am in and out of hospital. “This has nearly brought me into the grave. We have done nothing wrong. Goldman Sachs have bought this loan, we never borrowed a shilling from Goldman Sachs. “I don’t even know who they were, so they’ve come to our home and are putting massive pressure on our family. “We have two young children, a five-year-old and an eleven-year-old. “This should not happen to us, we are paying our mortgage,” he told the agents working on behalf of the receiver. “We’re paying our loan, we’ve offered the value of the property, we’ve offered everything. “I have heart issues, I have to be very careful. You guys are aware of the amount of time you’ve dragged me down through the courts, dragged me in and out. “It has to be said here. We’re not in a position to; we have nowhere to go. We have given our last shilling every month to meet this mortgage. “This is a little bed and breakfast business. We are a family, we have to keep going and we are doing nothing wrong, and we are prepared to go into court to explain this. “This is a serious issue for us, a very serious issue. For you guys coming to the door maybe you find it ways because you do that, but unfortunately we have no option,” Mr Halpin added. 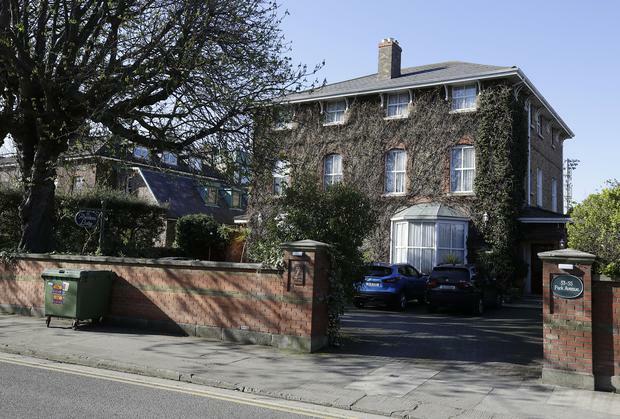 Mr Halpin told Independent.ie that the loan on Aberdeen Lodge, initially valued at €980,000, was purchased by Goldman Sachs for €300,000 and that the US multi-national stood to make a profit on their offer to repay €1.25m. The possession order stems from a €25m loan from Irish Nationwide during the boom over a failed hotel project. The companies involved were Crossplan Investment, controlled by Patrick Halpin, and Elektron Holdings, which owns the Aberdeen Lodge. Elektron Holdings had their debt purchased by Goldman Sachs with the receiver arguing that the company’s assets, including Aberdeen Lodge, can be seized. 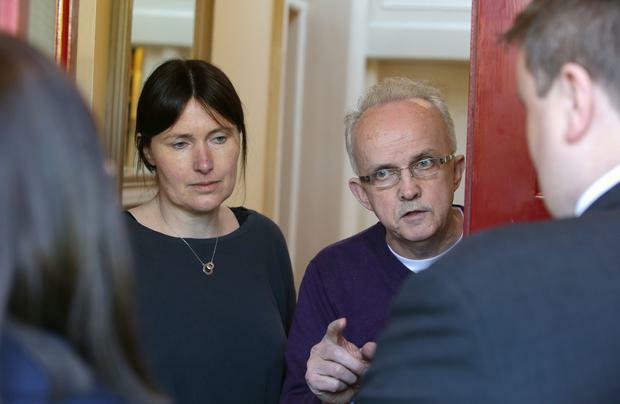 This guarantee has been denied by Mr Halpin and Ms Keane and is at the centre of the lengthy legal battle, with the family set to lose their business and home if the repossession is carried out.